The future of Gennady Golovkin is all still uncertain, including which major network he will sign with next. Golovkin is still a free agent, and with HBO now officially out of the boxing game, he is looking for a new home. GGG has had meetings with ESPN, DAZN and Premier Boxing Champions — including a recent, four-hour meeting with DAZN. 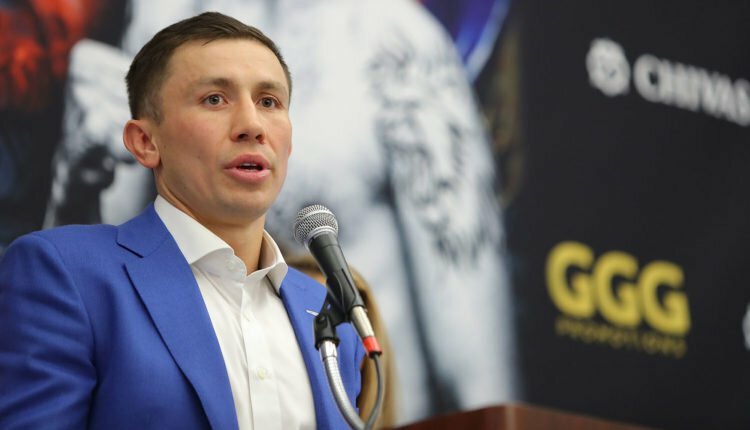 This may seem to make DAZN the top contender to land GGG, especially since they also signed an exclusive deal with WBA/WBC Middleweight Champion Canelo Alvarez. Alvarez and Golovkin battled to a controversial split draw in September 2017 before Canelo won the titles in a rematch almost exactly one year later, handing GGG the first loss of his pro career. According to GGG’s trainer, Abel Sanchez, however, a potential trilogy bout with Alvarez will not factor into the Kazakhstani fighter’s decision. Alvarez will next fight on Dec. 15, stepping up to super middleweight to challenge WBA “Regular” champion Rocky Fielding at Madison Square Garden in New York City. Sanchez says there’s no official date for Golovkin’s return to the ring, but he’d like to see it happen in either April or May.